The Y is a place where everyone belongs and can be themselves while engaging in new experiences, building new skills and making new friends. We are committed to providing youth with a safe and positive environment. Our well-rounded summer camp program is rooted in the YMCA core values of caring, honesty, respect, and responsibility while being intentional about fostering friendships, a sense of accomplishment, and belonging for all. Both our preschool and school-aged camps will be under the direction of Missy Lamkin, Childcare Director at the Beatrice YMCA. All camp leaders will be selected for their maturity, dedication, enthusiasm, and desire to allow children to reach their fullest potential. The entire camp staff is CPR and FirstAid certified and participates in training that covers safety, supervision, counseling and camp procedures. The Beatrice Y average leader-to-camper ratios exceed state guidelines to ensure that your child receives the best care and attention possible. This year we are offering weekly sessions with a set number of openings for each session. You pick which sessions you would like your child to attend; a description of each session will be available soon. The cost of each session is $130. This includes all in-town activities, breakfast, lunch, snack, and supplies. 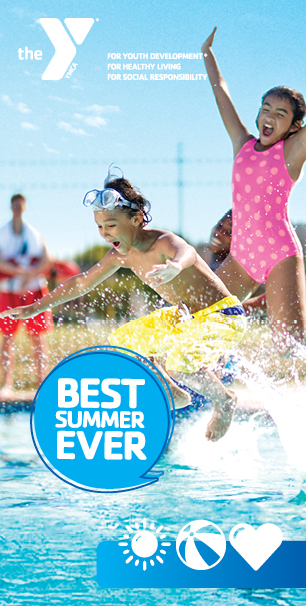 Families will be required to purchase a water park pass for each child attending camp ($65 per child – checks can be made payable to the City of Beatrice). There will be a non-refundable $15 reservation fee for each session; this amount will come off your weekly draft throughout the summer ($130-$15=$115). At the time of registration, you will also be required to pay the one-time per the calendar year/per family $30 registration fee if you have not already paid that in 2019. Camp dates are May 28th through August 9th; there will be no camp the week of July 1st. Summer camp activities will be scheduled from 9 am – 4 pm; care will be provided from 6:30 am – 9 am and 4 pm – 6:00 pm. Read through the session descriptions below and pick which sessions you’d like to sign your child up for. Click here to register. Be sure you are registering your child for the grade they finished during the 2018-19 school year. If you haven’t paid the $30 family fee, register for this at the same time. Once you have registered online and paid the $15 fee per session, you will have reserved your child’s spot in our summer camp and will receive an email with all the paperwork necessary for you to complete. These forms are in PDF format and can be filled out online and returned to us via email. Below is a list of the forms that you will be responsible for. Please note that children will not be allowed to attend camp without the paperwork on file before the first day of camp. City of Beatrice Water Park Pass – please bring a check to the front desk for this. *PLEASE NOTE* Every child 6 & under will be required to have a swim shirt on to enjoy the water park. We recommend every child have one but will require it for those 6 & under. A link to each of these forms can be found at the bottom of this page. *Please Note* If your child receives DHHS benefits, you are not able to reserve your child’s spot online – you must register at the front desk prior to May 15, 2019.